We’re evolving to better serve the needs of veterinary medicine. We have a new name and a new look. Here’s why we made the change and what it means to you. You’ll also get a glimpse of things to come. 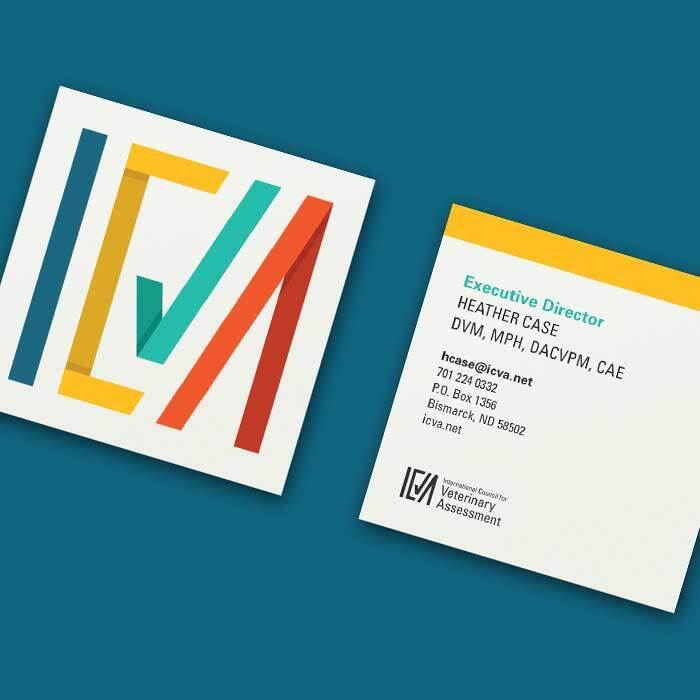 Positioned for growth: NBVME is now ICVA. 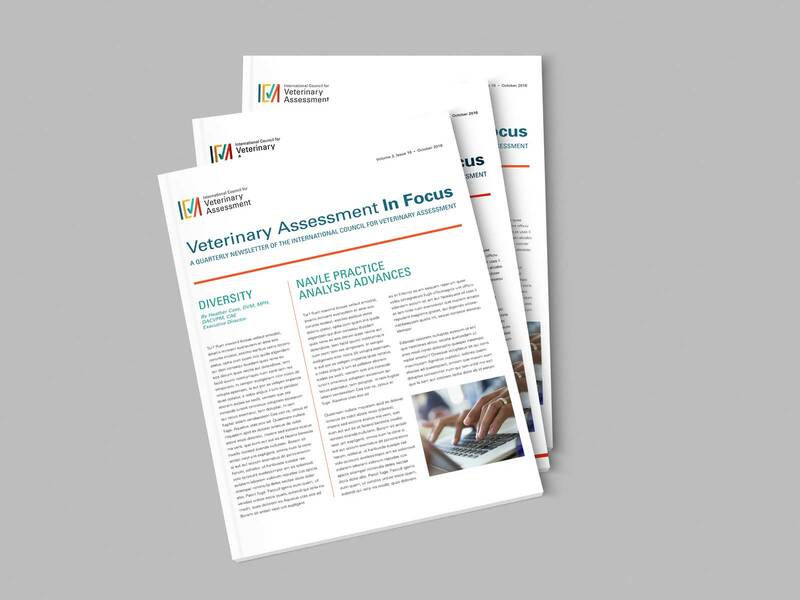 Since our founding in 1948, the National Board of Veterinary Medical Examiners (NBVME) has played a vital role in establishing assessments for veterinary medicine. Today, every veterinary student who seeks to practice in North America must pass the North American Veterinary Licensing Examination—the NAVLE. 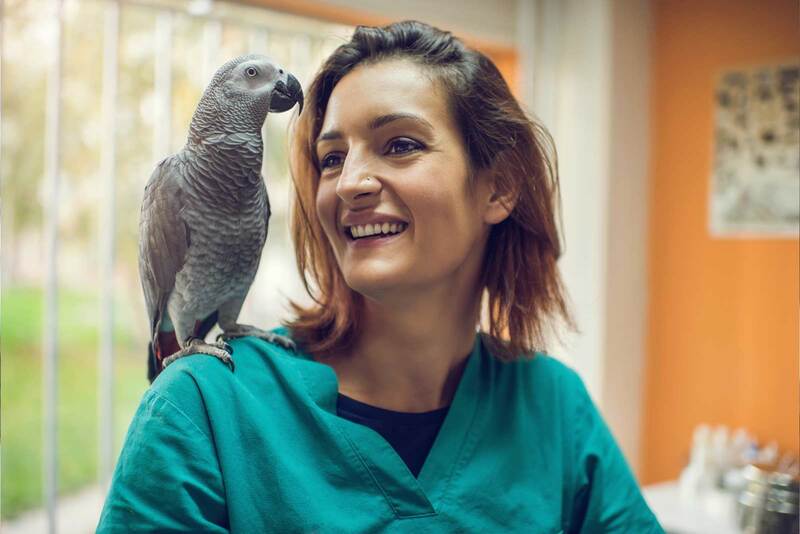 It is a reliably predictable milestone for every practicing veterinarian. “Most people in the veterinary field don’t know it, but NBVME is far more than the NAVLE,” said Dr. Karen Lehe, ICVA Chair. “For example, we also provide the Veterinary Educational Assessment to schools to evaluate students’ basic science knowledge and Species Specific Examinations for use by state and provincial boards. We conduct ongoing outreach with schools, educators and licensing boards. 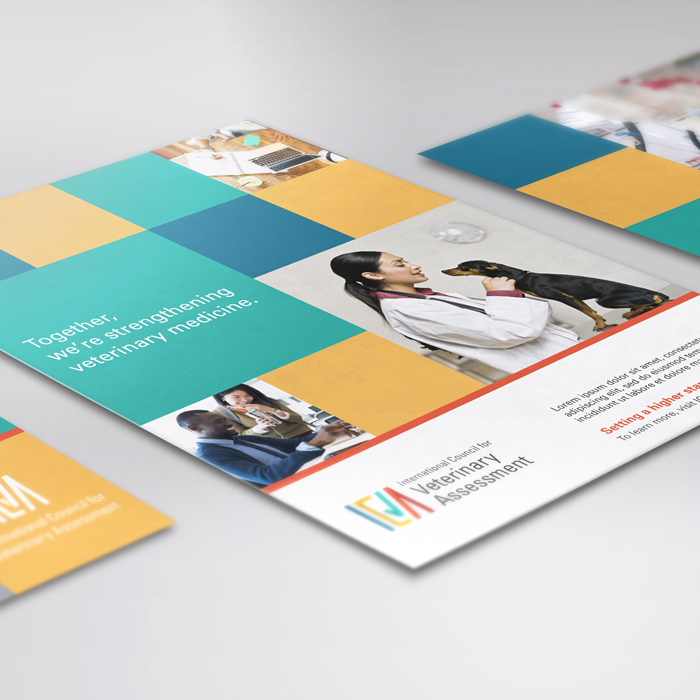 And increasingly, we are working with veterinary medicine internationally in various capacities.” Clearly, it was time to update NBVME’s brand—and our name. 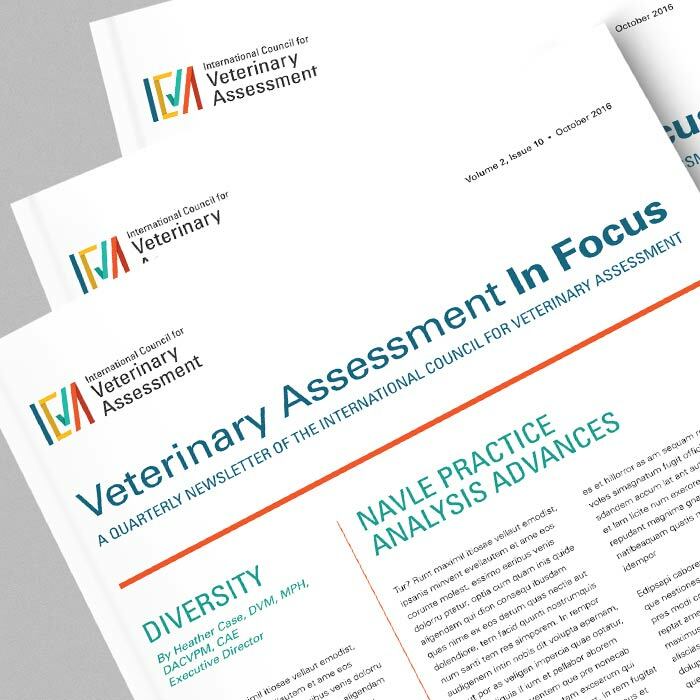 We are now ICVA—International Council for Veterinary Assessment. The new name reflects how we have grown and continue to grow. What we learned. In February 2016, the NBVME embarked on an assessment of the current health of our brand and outlined a plan for updating it. Our goal was to increase NBVME’s visibility and reflect how it has evolved. 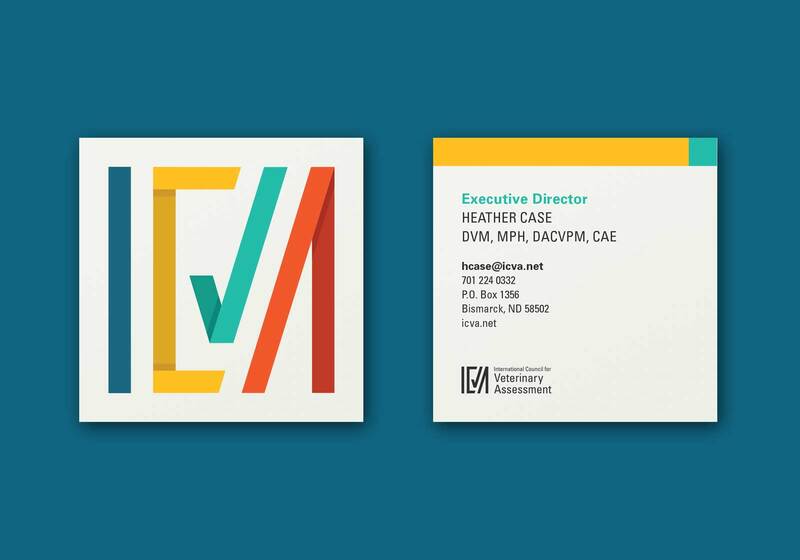 To do this, we worked with a branding and advertising agency. Their diagnostic process began by reviewing our strategic plan, a recent stakeholder survey and communications audit, and past and current communication materials. They also conducted intake sessions with key stakeholders to better understand the current view of the brand. There is a general lack of awareness of what NBVME does and the role that it plays in veterinary medicine. Where there is awareness, there is a strong, sometimes singular association between NBVME and the NAVLE. NBVME earns legitimacy when it talks about the practice diversity and deep veterinary experience of board members and those who write the assessments. Audiences would like to know more about the people and process behind the exams. A sincere and objective tone garners the most positive response and instills confidence in NBVME’s audience. Building on our heritage to shape a stronger future. For our new brand to work, it has to accurately reflect the scope of what we do. And it needs to resonate with our diverse audience—North American licensing boards, educators, students and practicing veterinarians, and their global counterparts. The ICVA and its team of veterinary experts work to keep what we do current and relevant. They collaborate with licensing boards, educators and veterinarians, maintaining an open dialogue about their needs. The focus of everything we do is to create veterinary assessments that help veterinary medicine protect human and animal health and welfare. Together, we’re setting a higher standard. Bringing our new look to life. Here are a few examples of what you can expect to see soon. 1Why was a new look and name needed? 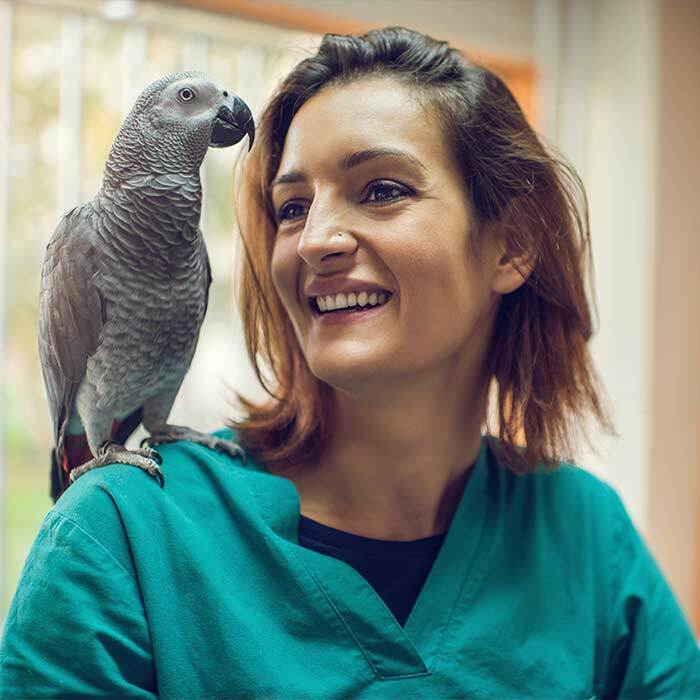 Through research, we discovered that while the North American Veterinary Licensing Examination—the NAVLE—is widely known, most people in the veterinary field don’t know the organization behind it, or all we do to support veterinary medicine. 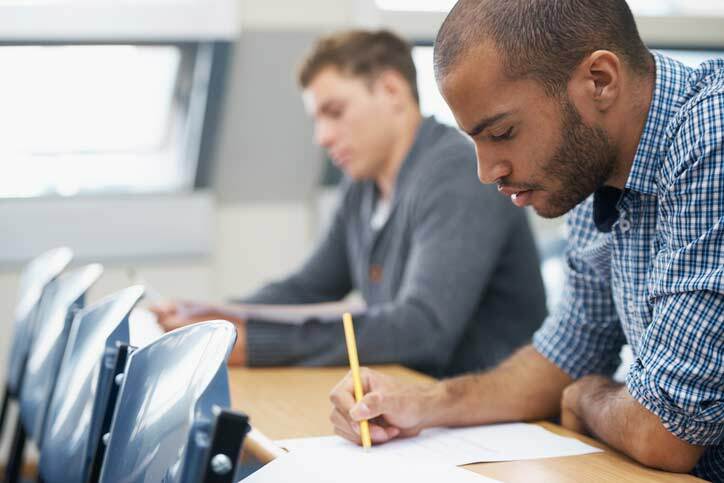 For example, we also provide the Veterinary Educational Assessment for use by veterinary schools, NAVLE Self-Assessments to help students prepare for the NAVLE and Species Specific Examinations for use by state and provincial boards. And we conduct ongoing outreach with schools, educators and licensing boards, maintaining an open dialogue about their needs and our services. 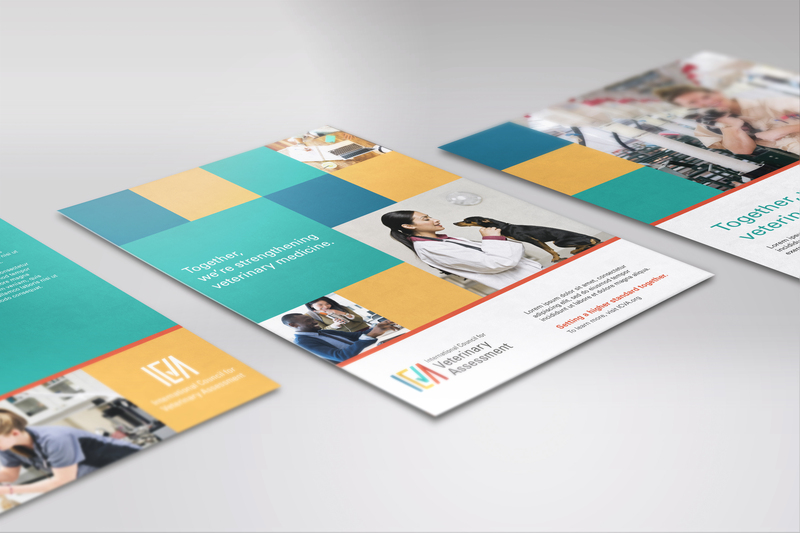 We felt that a rebranding would give us the opportunity to communicate all that we do. 2Why the change from “National” to “International”? Because our board includes members from Canada, we were already an international organization, making “national” something of a misnomer. The NAVLE is administered in 24 countries around the globe; in some of those countries, the examination may be accepted as part of their licensure process. International graduates must also take the NAVLE if they intend to practice in North America. 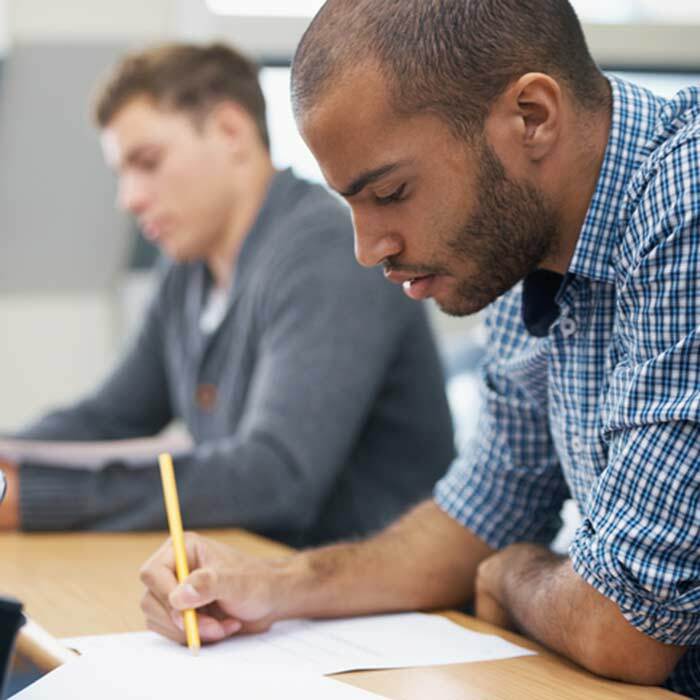 Some international veterinary schools also administer our Veterinary Educational Assessment to evaluate student progress. Adding “International” to our name merely acknowledges the scope of what we already do as an organization. 3Will the rebranding change how the NAVLE is developed and administered? No. As always, we conduct a practice analysis every five years, surveying veterinarians from across veterinary medicine in North America to determine and update the basic knowledge, skills and competencies needed for entry-level clinical practice. But the analysis isn’t related to the rebranding. We do it because we all have a vested interest in keeping veterinary medicine strong. 4Are other changes happening as part of the rebrand? Not directly. As with all organizations, we continually evolve to keep pace with challenges and advancements in our profession. What will never change is our ongoing commitment to helping veterinary medicine to protect human and animal health and welfare. 5When will I see the new brand and name come to life? The rebrand will start rolling out in late-November. You will see it first in emails, newsletters and presentations. Eventually, you will see it in a website refresh and in the NAVLE. 6You say the organization is far more than the NAVLE. Where can I learn more about what it does and the support it provides? Our website has excellent information about all we do to support veterinarians and veterinary medicine. Visit us at icva.net. Help us get the word out. In this section, you’ll find a downloadable press release, logos, sample newsletter and social media posts. Have a question or a comment for us? We’d love to hear from you.